Our families are big pancake lovers! So you can imagine our delight when we were asked by our favourite peanut butter creators to develop a pancake recipe using their Peanut Butter with Sunflower, Pumpkin and Flax Seed spread. Now if you can resist the urge to eat the butter straight from the jar with a spoon then this recipe gives a great nutty boost to your pancakes. The pancakes are wheat free, dairy free (contain eggs) and refined sugar free - but we do love maple syrup so expect a good drizzle. 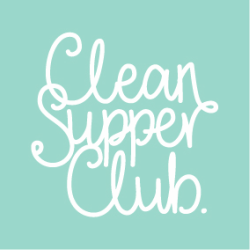 Click HERE to view the recipe video, follow the link to our Clean Supper Club - YouTube channel. Using a blender turn the oats into a smooth flour. Tip into a food processor or into a large mixing bowl. Pour in the nut milk and spoon in the peanut butter with Sunflower, Pumpkin & Flax Seeds and blend/whisk until smooth. Now add the eggs, maple syrup and bicarbonate of soda. Blend until fully combined. Heat the oven to 50°C and place a plate on the middle shelf, as you cook the pancakes layer them onto the plate in the oven to keep warm. Pour a teaspoon of rapeseed oil into a non-stick frying pan, using a piece of kitchen roll carefully wipe the oil around the base of the pan. Heat the pan to a medium high heat. Using a ½ measuring cup – scoop one ½ measure cup of the pancake mix and pour it into the centre of the frying pan. Set the heat to medium. Cook the pancake for 2-3 minutes on each side. On the first side you will see air holes rise through the pancake and pop on the surface at this point flip/turn the pancake over. Once cooked - place each pancake onto the warming plate in the oven until the whole batch is cooked. Using a medium pan, gently melt the coconut oil and add the fruit. Bring to a gentle simmer for 4 minutes, stirring occasionally. Reduce heat and add the cinnamon powder. Cook for a further 10 minutes until juice slightly thickens, stir regularly. Remove pancakes from the oven and pour over maple syrup and spoon on the fruit compote. Cover with fruit then add a delicious dollop of peanut butter with Sunflower, Pumpkin & Flax Seeds and ENJOY!